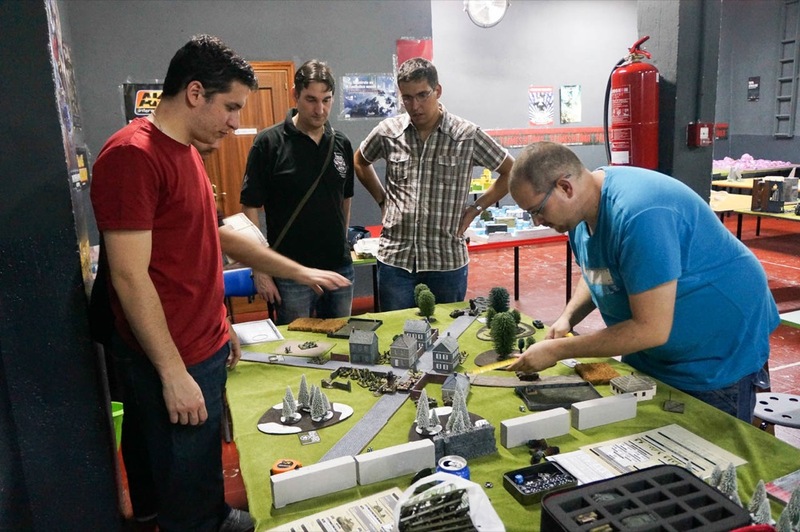 Our ranger group in Madrid, ModelBrush Rangers, played a demonstration game with the Open Fire boxed set at Goblin Trader store, Madrid. 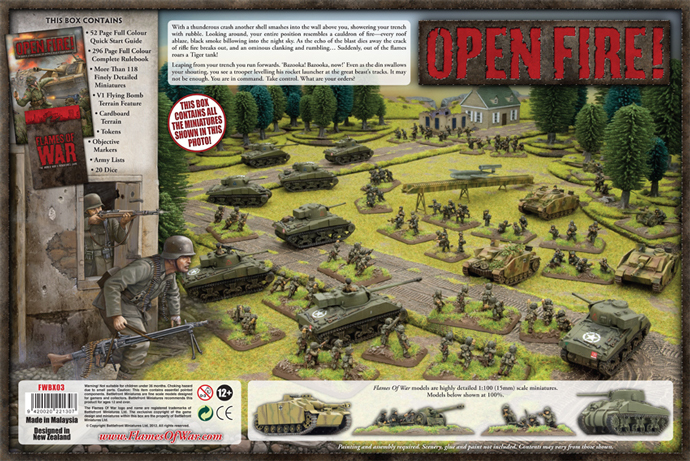 The Open Fire boxed set is a great way to start playing Flames of War, the WW2 15mm miniatures game. It features more than 100 infantry miniatures, 11 tanks, 2 AT guns, full rulebook, quick start guide, tokens, dice and some cardboard terrain. In fact, 2 well leveled german and british forces to start playing great battles. All of these for… 54€/$74 !!!! Thats why we are doing some demos, showing gamers (and non gamers!) how to play Flames of War, and how to expand his forces once they have the Open Fire box. 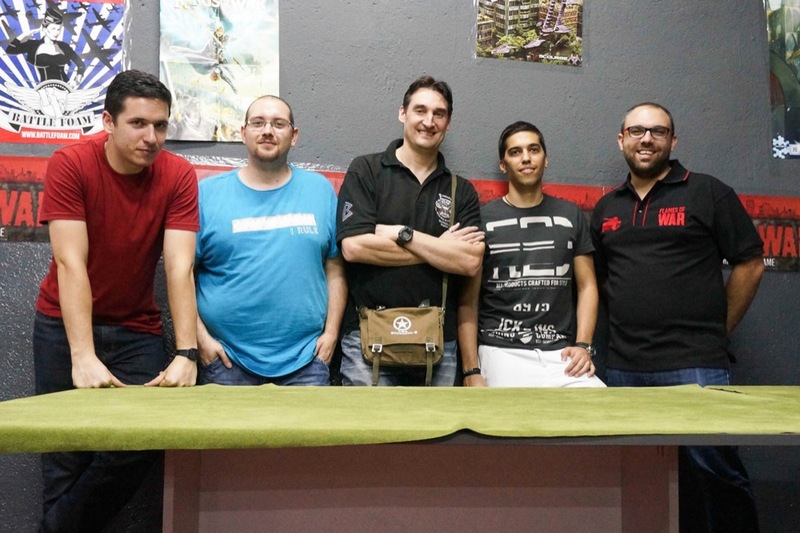 In this case, we played a basic battle on a 120x120cm table (4’x4′). Enough for two armies of 800 points, like the ones inside Open Fire. We played at Goblin Trader store, a great shop based in Madrid. The scenery was from GaleForce9 and from a new brand that we’re testing (the tall brick walls painted in red all around the village). 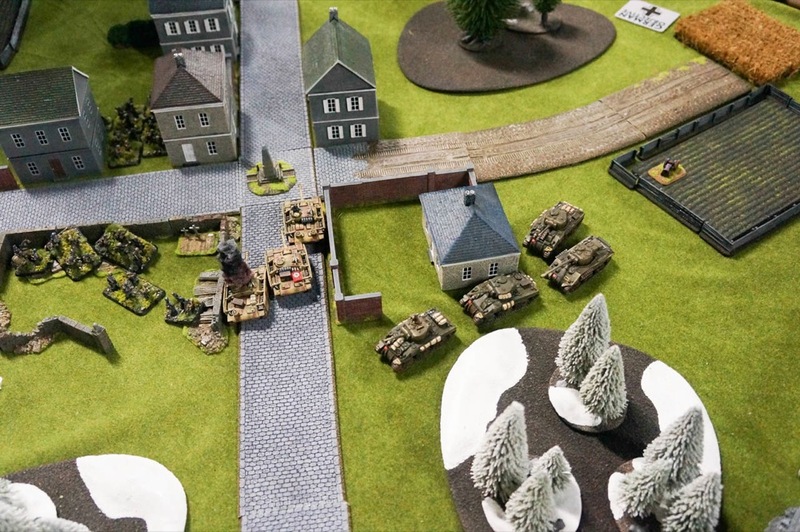 In the first and second turn, the german grenadiers and the Stug platoon entered the town, holding positions and waiting for the arrival of the Shermans and the American Paratroopers. 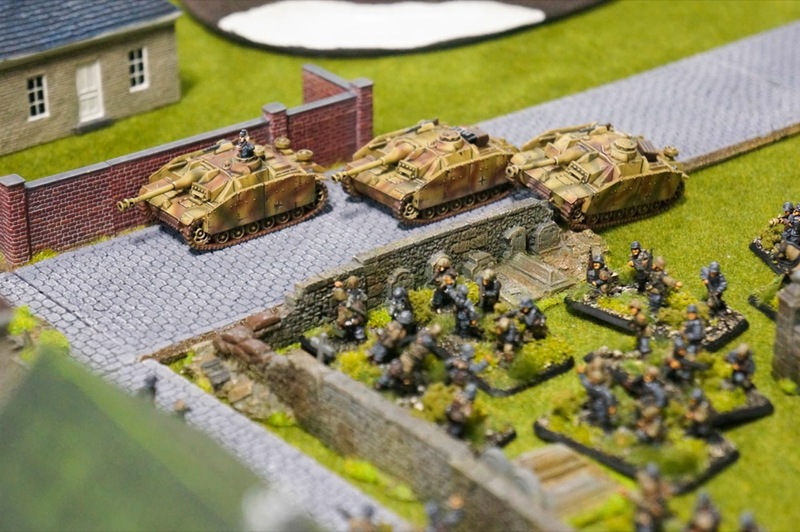 The first casualties were a Stug and a British tank platoon defending an objective. 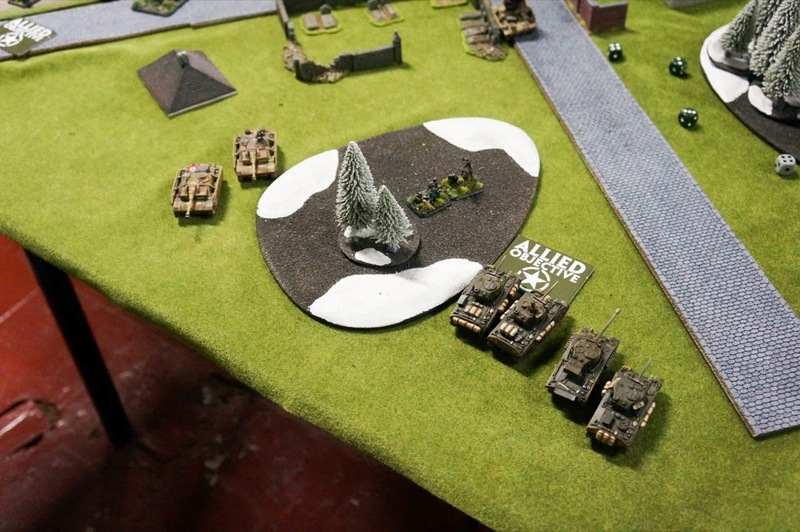 Long distance shots, but 3 casualties in one turn (one Sherman down with a 7.5 cm Pak 40 AT gun, stationed on the other side of town, and the other with the Stugs). The Stug was destroyed by a Sherman Firefly, who died in the next turn of two Pak 40 shots. The other British Sherman platoon covered one of the exits of the town, stopping the Stugs to go for the objectives. …but the maneuver wasn’t for that. 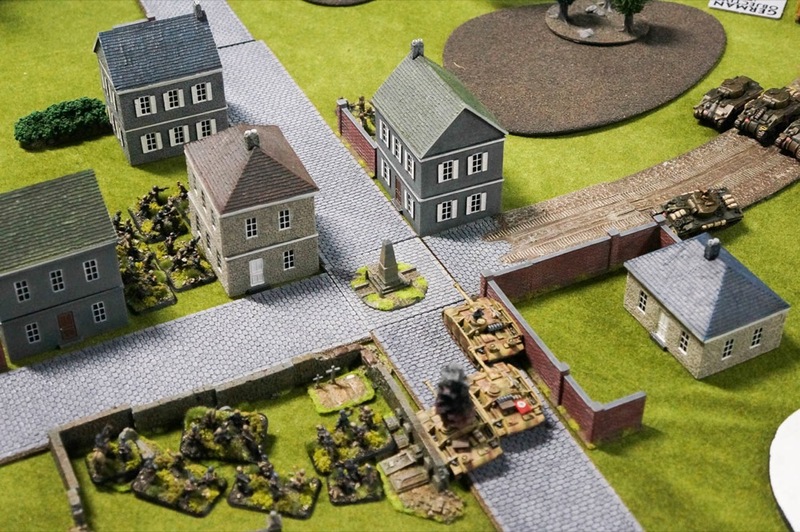 They headed directly for the undefended objective at the double. 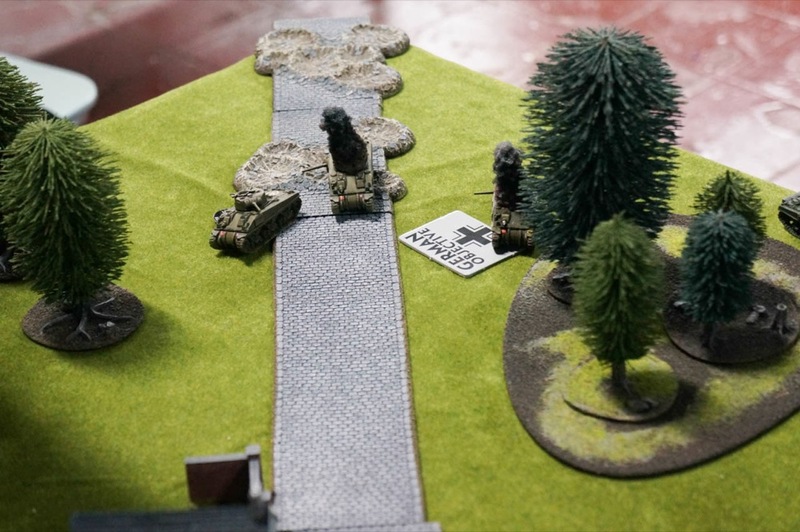 Because they moved at the double, they couldn’t conquer the objective in the next turn, so the germans had one last chance to protect his objective. The two remaining Stugs left the village and assaulted the Shermans with the support of the german commander, who had a Panzerfaust. All the assault occurred inside the near forest, and the Shermans were erased from the map with only one Stug lost. In the village, the combat continued between the german grenadiers and the american paratroopers. One assault and one grenadier platoon lost. Finally, at the end of the 6th turn, no one controlled any objective in enemy’s land, and the germans won by lost platoons: two Sherman platoons vs one grenadier platoon. So the final result was 3-2 for the German company. 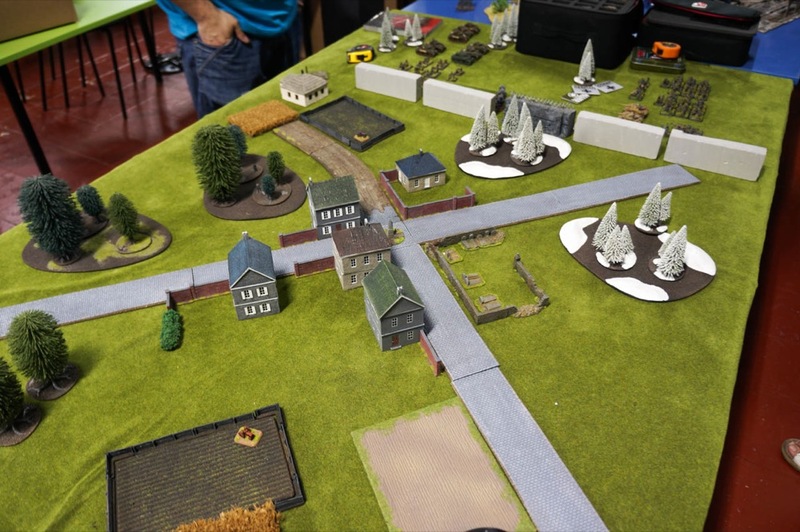 It was a really nice and interesting battle, and the two people learning to play that day saw many different combat situations (tank shots, infantry shots, house assaults, tank assaults, combat inside forests, etc). So, if you’re still thinking whether to buy or not the Open Fire box, think that all this battle was played with the miniatures inside it. No mini was added to the smoke/fire/powder party!! 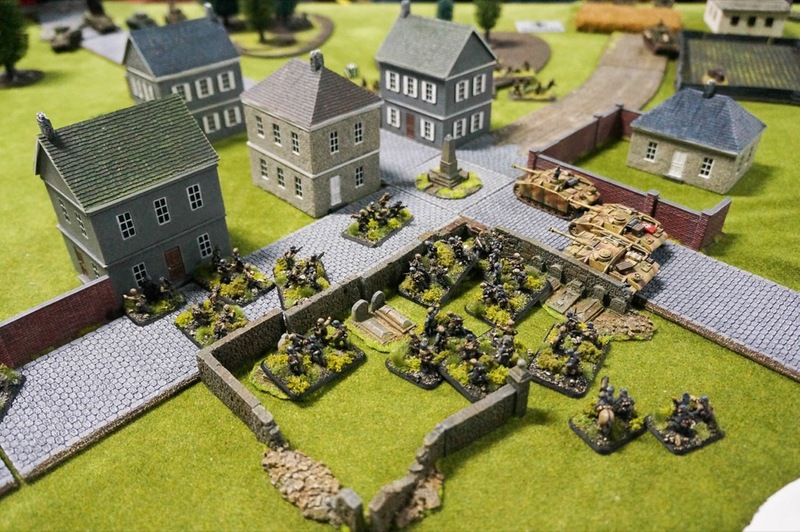 And you could start with these minis and continue to expand your army with other platoons in the future. It’s a really nice starter box (one of the bests you can find out there! ).